So if you are anything like my mother you probably are wondering what the heck has Chris been up to lately? Well, I am not AWOL, just busy! 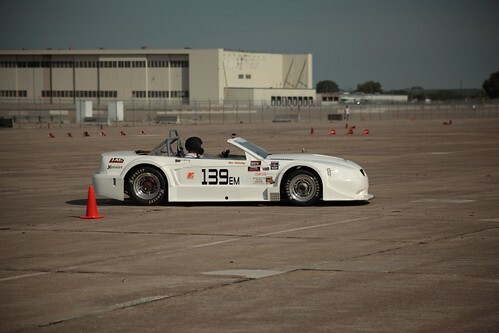 I spent last week in Lincoln Nebraska at the SCCA Solo National Championships, what’s that? Car racing. How’d I do? eh, not worth mentioning where I actually finished, but I did get to see friends I haven’t seen since Nationals in 2008, the last time I attended. 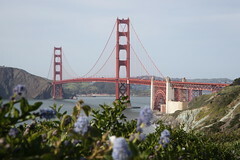 I couldn’t really believe that I hadn’t been since 2008, but that is the truth, with the move to Colorado in 2009 and then California in 2010 I just didn’t get to go. I’ll have more blog posts/videos/photos from Solo Nationals in the coming week. This morning we went to Olivia's first birthday party in San Carlos. Check out some of the photos from the party. Saturday Natalie and Jacqueline went to Sophia’s birthday party as well, photos here. After the birthday party today we had a few folks over for a crab fest. A couple of weeks ago I had a crab dinner at a local restaurant and was kind of grumpy that I paid $22+ for half a pound of crab, so I decided that we should have our own crab dinner at our house. We had the Strohls (4), Jeff Seeling (1) and Heyward and Julia (2) over for dinner tonight. I picked up some crab from the Half Moon Bay Safeway. It was $7/lb, cooked, cracked and cleaned. I had gone to the Half Moon Bay Fish Market on Sunday to see how much it was there, I thought it was a good deal at $10/lb cooked/cleaned. I am glad that I went to Safeway this morning before the party to check things out though, the Yelp reviews for the Fish Market made me start to have second thoughts. Safeway turned out to be great for this dinner. Basically we took the crab from Safeway, put it into foil lined and covered pans with a small amount of water in them, and put them on the grill for 6-9 minutes. I think they turned out great. We had 5 crabs, probably 12 lbs total, and it seemed to cover the 8 of us, though I think only 5 or 6 of us actually ate crab, in the future I’ll likely do 1 per person if we do this again. I only took 2 photos tonight, was too busy cleaning and having a good time with friends! This week I have a lot of catching up to do on work! It was great to have the week off, but I feel like I am now way behind at the office! So where I Chris at? I’m doing this all week! 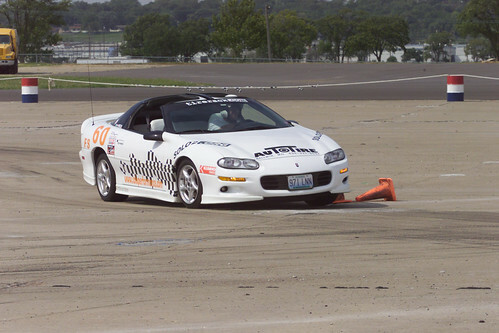 I’m at the 2011 SCCA Tire Rack Solo National Championships in Lincoln Nebraska. Stay tuned to Flickr and YouTube for videos and photos from throughout the week! Those of you from Vacaville may recognize the title here, those of you who aren’t, maybe you’ve heard of a little band called Papa Roach. Anyways, today in St. Louis I ran around a bit. I went to lunch with a guy who got me where I am today. My first real boss after college, though I also worked for him before I left college. Bobs as I like to call him (Roberts is his first name) is the guy who got me into the .NET world, and without that I wouldn’t be doing what I am today, I am very thankful for all that he has done for me over the years. Though I really should thank my dad, because had they not played golf one day back in summer 99 I wouldn’t have met Bobs to begin with! After lunch I ran up to UMSL (University of Missouri St. Louis) to see if I needed to do anything while I was in town for my final course that I’m waiting for the grade to come through on. I had to fill out a change of graduation date form, but other than that there wasn’t anything else to do. This evening we went to a little party put on at the Nelson’s house. It was great to see a lot of my fraternity brothers and their wives and all the kids running around, We had a little graduation party, and it even included cake! I hope my Final score was enough to get me to graduate, otherwise I probably need to give the cake back! Unfortunately we had to cut short from the party as Natalie came down with some sort of stomach bug this afternoon, hopefully she feels better tomorrow. Tomorrow is my last full day in St. Louis, we’re planning on heading out to a barn so the baby can see her first horse, hopefully they scare her and she never wants to ride them! Daddy can’t afford two ladies in the family riding! So today was our second full day here in St. Louis, and I tell you what, we sure haven’t missed the weather here since we left. It’s been rainy, icey, and sleeting pretty much since we arrived. Between icy winters and hot HUMID summers there isn’t much to like about the weather here! Today Natalie and her sister and the kids went to the mall for a while. I headed over to Best Buy to check out the new Motorola Xoom tablets. I must say, it was hard not to walk out of there buying one (two actually because Natalie wants one too) but I held off. I’m curious to see what happens with pricing here in the next few weeks. I have a feeling with the IPad2 announcement likely next week that the Xooms may be changing things a bit, we will see. This evening we went by SoloPerformance and saw Dave Beth and Sam there, then headed down to Bill’s house for dinner with Kathy and the kids. It was a good day, great to see old friends. So what’s gone on so far in 2011? Let’s recap on this 33rd day of the year. I’ve managed to post 33 photos of myself for #Flickr365 and 33 photos of Jacqueline for #Baby365. The baby is growing! She’s up to 13lbs 13oz last time she was weighed and in the 95th percentile for height at her age, a jump from her last measurement. I’ve managed to autocross the 350z once already this year, and have at least 2 more events coming up this month, with a possible 4th as well. The Super Bowl is coming this weekend, I’m ready for it, we’re going to finally get up to Fairfield and see some friends we haven’t seen in probably 8 months! Do I know you? Do I want to? So this post is not meant to be rude, even though it might come off that way, so here it goes. Do I know you? Do you know me? Do you want to know me? Do I want to know you? These are questions I ask almost every day. Every time someone sends me an invitation to connect on LinkedIn, or a Facebook Friend request, or an Instant Messenger buddy list add, I wonder: Who are you? Do I know you? How do you think you know me? For some people it’s easy. Yesterday I got a LinkedIn request from Natalie Hammond, that’s an easy one, my wife, though I had to think about accepting it (just kidding) I knew who it was. Today I got a linked in request from another person, and for the life of me I have no clue who they are. Looking at their profile doesn’t tell me anything except their name and where they are/went to school. Other than that, no hints as to how I might know that person, or if I don’t already, why I might want to know them. So a word of advice, and a small request. When you send me a LinkedIn request, or Facebook friend request, please include a brief message, remind me who you are, or intrigue me as to why I should know who you are. That being said, Facebook is for friends, family, and past classmates. LinkedIn is for professional connections, so if you are a DotNetNuke user feel free to send me a LinkedIn invite (with some info about why), but don’t bother with Facebook friend requests please unless we are already friends. So things have been really hectic lately, so blogging has taken a backseat. So here’s a brief update on what’s been going on. I’ve been in California for almost three weeks now, minus a few days back home in Colorado for my Birthday. Work at DotNetNuke is going great, I enjoy being back in an office again (after working at home the past 7 months). I’ve been staying in a hotel this whole time, switching locations after my trip to Colorado so that I could test how I would handle commuting. So far so good with commuting. I’ve been driving about 26 miles each way the past few days, which takes about 40-45 minutes around 8am. On Friday leaving 40 minutes earlier it only took me 25 minutes, so I am going to give that a shot again Monday to see what traffic is like. Finding a place to live hasn’t gone as smoothly as I would have liked. 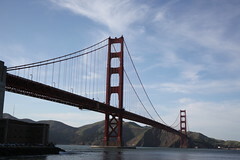 We were surprised to learn that the rental market on the peninsula is competitive! So far we’ve only actually applied to one place, not getting selected. There are a number of places available, though most of them aren’t what we are looking. We’ve come to accept that we’re going to have settle for about half the square footage of what we have in Colorado. I found a couple of places today that I think are interesting, one that I am really hoping works out. I’ll post more info if it does! I’ve decided I’m going to sell my 18’ car trailer. We towed it out here to California and it’s in storage. I figure I am not going to be racing much over the next year, so holding onto the trailer isn’t something that is going to be necessary and paying storage fees on it doesn’t make too much sense. I’m going to put it up on Craigslist later this week. Back in Colorado the house is still on the market. We’ve had 14 different showings in the 6 weeks it has been on the market. We’re hoping that something happens with it this month, we’re working on lowering the price right now. If something doesn’t happen this month we are likely going to rent the place out for a year or two. I figure that putting some money into a mortgage will be better for us than simply paying rent out here in California for a few years and not getting any equity out of things. Yesterday I got to have a little bit of fun, after being frustrated with the housing search. I went to dinner with my best friend from 8th and 9th grade when we lived in Riverside California. Back in the day Jaysen and I were inseparable. I have only seen him a couple of times since we left Riverside back in the summer of 92, the last time being a few days before Natalie and I got married in 2006. I met him and his girlfriend in San Francisco last night for dinner. We had a great time catching up. I spent the afternoon driving up the coast and taking photos. Eight years ago today I was supposed to meet Dale Jr.
8 years ago today I was sleeping in my hotel room in Topeka Kansas, getting ready to wake up and drive to the Kansas Speedway to meet Dale Jr. A good friend of mine was working for DEI (Dale Earnhardt Inc.) at the time doing engineer stuff (that’s what he is) and the team was at Kansas Speedway doing testing for upcoming races. I was in Topeka Kansas for the SCCA Solo Nationals (which are now held in Lincoln Nebraska, this week, I’m sad I am not there), and had an off day, one in which I wasn’t racing or working. So I was excited to get to the opportunity to go up to the raceway and meet Dale Earnhardt Jr. I had just left my gig at The Sporting News a few months earlier, and I was still into NASCAR at the time, I had even been writing a column with my good buddy Roger Kuznia where we went head 2 head on a Nascar topic each week (don’t judge me based on what you read!). Unfortunately, that morning I woke up with the TV on and it ended up being September 11th, 2001. It was a rough morning for our nation, and the world. I ended up staying at the hotel for a few hours, watching all the coverage, internally thinking to myself, what if we’re at war, what is going to happen next. Eventually I got myself out of the hotel and headed off to the speedway to try to meet up with Dale Jr., but as I was just about to get on the highway I got a call from James, my buddy, saying that they were headed home, because the airlines were all shut down they packed up the semi trucks and all hit the road back to North Carolina. So I headed down to Forbes Field in Topeka where the Solo Nationals were held, and hung out there until we were all kicked off the base for a couple of days. Gas prices in Topeka skyrocketed, above 4 dollars a gallon at some places, grocery stores were flooded, I remember I went to the liquor store that day to get some whiskey. A couple days later the Solo Nationals continued, in a much shortened version. 8 Years later, the Solo Nationals are still going on, the world is still reeling from the impact of 9/11, and I’m married to a beautiful lady living in Colorado. Things have changed! So it’s just after 1am on Monday March 9th, 2009. Pat Renner and I have wrapped up and submitted the final chapter of our DotNetNuke book. We are far from complete on the whole book writing process, but we are at least at the big milestone of being done with the majority of the writing of the book. Now we begin the process of editing our chapters that we are getting back from the editor and technical editor. I got the first chapter back for author review before my trip to Orlando last week but had to set it aside and focus on finishing up the writing process before starting on it. Tonight (Monday) will begin the process of the author review and cleaning up the materials so that they can be sent off to the production department. The book writing process is interesting, fun, painful, a great education experience. I’ve learned so much about DNN, but more importantly about how to communicate what I know about DNN in an easy to understand manner. At least I hope I have! I guess we will find out when people start reading the book! I’ll post more about my trip to Orlando later this week, I wish I had stayed another night to watch the Kepler launch, but because the book wasn’t finished I had to get home. So December 15th was our first book deadline. Pat and I met early Sunday morning and went through both of our chapters making some reviews. He ended up submitting his chapter on the 15th, mine was submitted late due to some pretty major overhauls we made to the structure of the chapter. I found the first chapter hard to write, I think the next few chapters will be easier. Chapter 1 was the intro/overview of all things, so it was hard to try to wrap all that information up into basic content that our intended reader will be able to understand. We’re waiting on feedback from our editor for the submitted chapters, hopefully we’ll get some of that before our next deadline of 1/15, otherwise we feel like we’re writing blind. We’ve already started on the next chapters for the deadline, I’m dealing more with actual DNN content in these chapters, so I think they will be much easier to write now. More updates in the future. Who’s ugly mug is that? So I’m home this weekend working on the book, our first deadline is on Monday, so Pat and I are both working on finishing up our submissions. To procrastinate a little I decided to do a quick search on Amazon, not expecting to find it, but I did! I found a listing for our book! Here it is! Now, I must get back to writing. 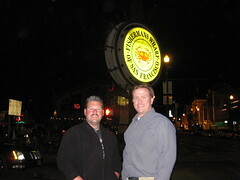 Is Chad Hobson the only DotNetNuke Developer in Lexington Kentucky? Well according to google he isn't even the top one anymore! Nice work Chad, nice. My good buddy Chad Hobson has launched a new site, here's a blurb about it. "The late Carole Bizzack's family have launched a new website for the Memorial Foundation they've created in her honor. Check out a good cause here." So I made some minor adjustments to the site tonight. I made the header at the top 62% smaller, taking up less area on the page. I also changed some of the photos around. My good buddy Chad Hobson got pulled from the headers for now. He might make an appearance again in the future. Oh yes, yes I am!